Coming July 11, 2013. 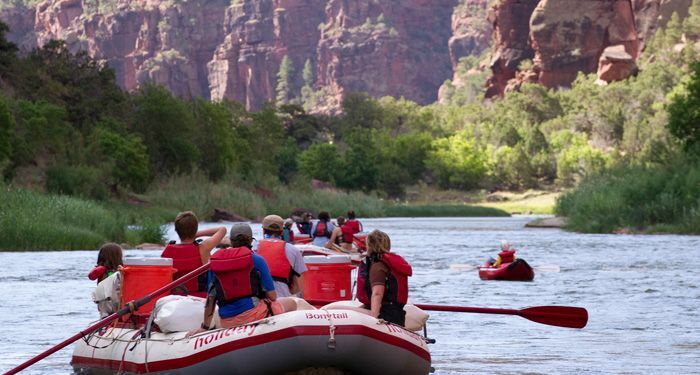 The Women’s Lodore Canyon by Holiday River Expeditions is an intermediate level, 4-day rafting trip filled with excitement as well as relaxation. There will be class IV white water rafting on the Green River in Utah, traveling along rapids with names like Disaster Falls, Hell’s Half Mile and Triplet Falls. Relaxation comes in the form of yoga sessions and optional short hiking trips with the beautiful backdrop of the steep, red canyon walls. Meals will be provided and camping gear is available for rental.